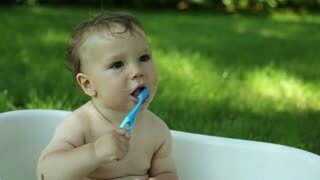 Search Results for "baby bath"
Bath for babies, baby wash your hair. Happy boy taking a bath. Bathing the baby in a red baby bath. Close-up portrait of a a baby, which bathe. Drops of water running down his face. Infant Covered in Bubbles Close Up Playing and Smiling in Bath. Happy baby bathing in bath with toy. Mother bathing baby daughter in pink baby bath. 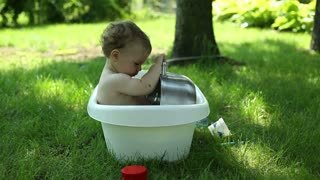 Mother bathing newborn daughter in baby bath, slow motion, zooming out. Little happy baby is bathed in bathroom playing with duck and smiling. Mom bathes baby in bathroom. Games in water. 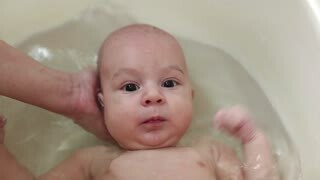 Mother bathing newborn daughter in baby bath, panning right, slow motion. 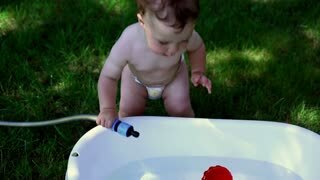 Little baby bathes and plays in bathroom with toys. Small baby bathes in clear transparent water and smiles. Mom washing baby bath time while she eats something. Mum washing newborn in baby bath on wooden table. Mother washing infant son in baby bath.